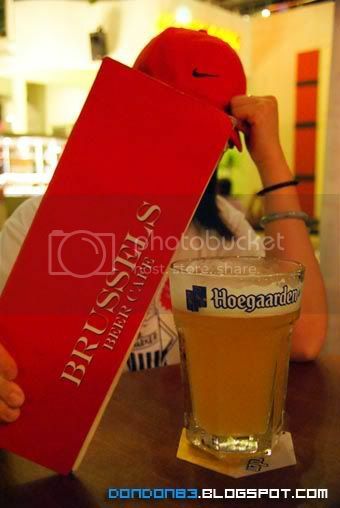 Tonight.. we went to a cafe.... yeah.. is really a cafe... i'm not bluffing.. it's call... Brussels BEER CAFE. 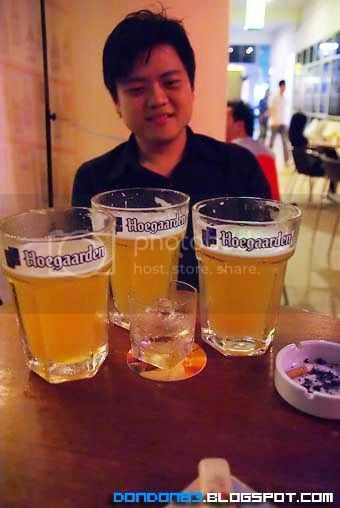 what we ordered is call HoeGaarden!!! 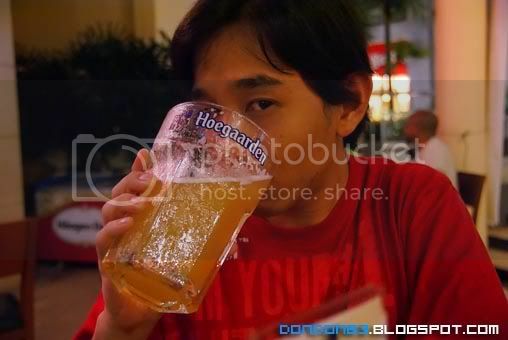 taste Nice.. and Huge too... how huge?? Size Doesn't matters?? who agree on that statement?? well... i don't .. cheer's, Size rox! well next time try John Smith or Murphy Stout or Boddington Beer. 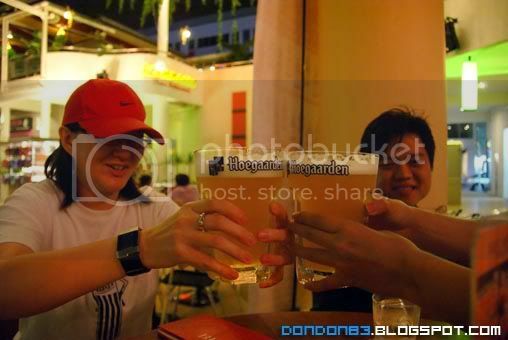 I believe you will like it since you like to drink beer.